Inside Storey: Calling All CloneBrewers: We've Got Your Number! Calling All CloneBrewers: We've Got Your Number! 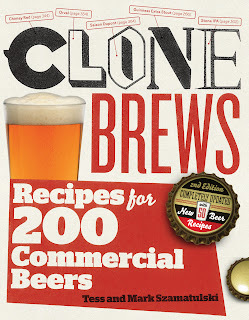 Have you made a recipe from our CloneBrews, 2nd Edition yet? Or have you tried to replicate your favorite brew on your own? If so, tell us about it, and send a picture, too. 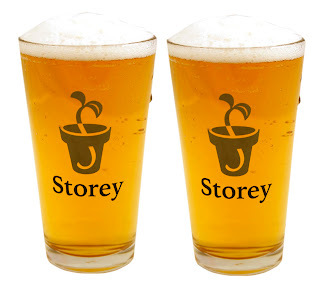 Anyone who posts a clonebrew/homebrew tale will win a set of Storey pint glasses to pour your delish beer into. Win a set of Storey* pint glasses. Oh... this makes me feel the need to get brewing again! We did several years of home brewing, but just haven't seemed to have the time lately. We never tried to "clone" a beer but we did have a couple of fun variations. Once we did a holiday ale with spices (cloves I think? definitely nutmeg) on a stout base... oh, it was good! That's it... I'm getting out the brewing supplies when I get home!